Takes me back to my yoof ‘Nice Legs Shame About the Face’! Back then, about 1979 if memory serves, no worries and responsibilities and the phrase ‘health and safety culture’ hadn’t yet been coined. 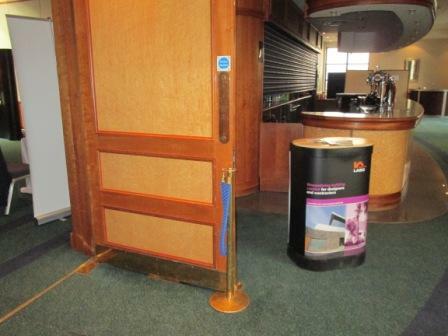 Things are a lot different in 2013, visit any public building and you will see fire doors everywhere – they are there for our protection. But how safe are the fire doors in most of our public buildings? I think we need to find out. An essential part of any public building are the walls that separate the building into compartments. In the event of a fire the walls prevent fire and smoke spreading quickly throughout the building. This is called compartmentation and provides a means of escape by protecting other parts of the building so that people can use those parts to safely exit the building. 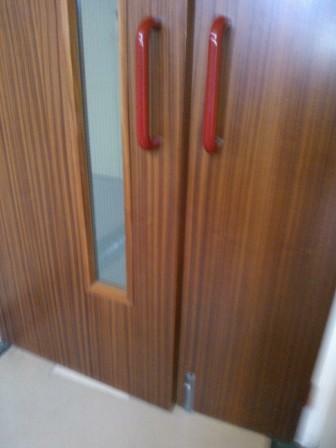 A fire door when it is closed is essentially part of the wall and should provide fire protection just like the wall. The problem arises because a door is not the same as a wall. A door has to open and close so that people can pass through and reach other parts of the building. Fire doors are carefully designed so that, together with all the components of the fire door assembly, in a fire they will provide a pre-tested duration of fire resistance. These days most fire doors sold have fire test evidence and are likely to be part of a third party accreditation scheme such as “BWF Certifire”. This also applies to the other components such as hinges and door closers. Many UK companies have invested millions of pounds in designing, testing and certification so that we can be sure their products will provide the fire and smoke protection we desire. Those same companies also carefully manage and audit their manufacturing processes to ensure consistent quality control so that the products leaving the factory can be relied upon to perform to the intended specification. But all too often it then starts to go wrong! As manager of the Fire Door Inspection Scheme I often stop and have a good look around public buildings such as hospitals, schools and hotels to see those fire tested products installed in their intended habitat. Usually within five minutes I find many fire doors that are not fit for purpose – that is they would not perform as intended in a fire! I expect this to be the case, let’s be fair wear and tear means that fire doors will become worn and need maintenance to keep them up to specification and I don’t expect to find every single door well maintained. They should be well maintained of course but I know the reality, at present, is different. But, trouble is, we are not talking about wear and tear here. All too often I am finding that the doors were not installed correctly in the first place. Having been ‘in the trade’ I can see that a building owner has spent thousands of pounds on fire doors only to have them rendered ineffective (in a fire) by poor installation. What is the point in spending thousands on fire doors if they won’t provide the required fire performance? We may as well fit non fire doors and save money. Except that we have Building Regulations to ensure minimum standards of safety. We also have the Fire safety Order introduced in 2005 to make building owners provide acceptable levels of fire safety. Its not working though! 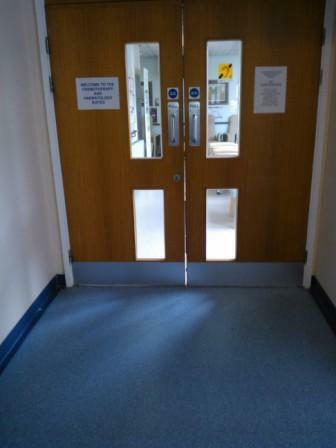 Fact is, that if there were to be a serious fire (thankfully very rare) at some of the hospitals I have been to, the fire doors would not provide anything like the fire protection required by Building Regulations and the Fire Safety Order. Then we have to add that in most cases the smoke seals even though they have been fitted are not effective due to incorrect installation. 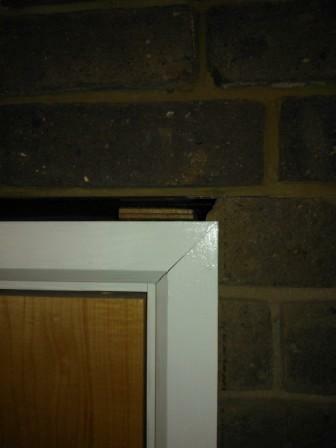 For a smoke seal to be effective it must be in contact with both edges between a pair of double doors and between the door edge and frame. This is obvious but still there are thousands of fire doors where the smoke protection is nil due to incorrect installation. So these hospital fire doors will not provide smoke protection either. Most people are aware that smoke kills, there have been many news items on the issue. We have Building Regulations and the Fire Safety Order setting minimum standards and we have tested and certificated products made to meet those standards. We employ fire safety officers and health & safety managers but despite all of this, fire safety standards are woefully inadequate at many of our public buildings. Who is responsible? Who is failing to check standards of fire door installation and maintenance? Am I right to ask these questions? The good news is that the fire door industry through its well respected trade associations, The British Woodworking Federation “Certifire” Scheme and The Guild Of Architectural Ironmongers, has launched The Fire Door Inspection Scheme. The Fire Door Inspection Scheme (FDIS) is working hard to make building owners aware of the critical importance of correct fire door installation and maintenance. FDIS is the first such scheme in the UK and Europe and provides comprehensive education programmes on the subject of fire doors leading to qualification as a Certificated Fire Door Inspector. The FDIS Diploma in Fire Doors is now being taken up by many fire risk assessors, health authorities, local government offices, education establishments and the fire and rescue services. In order to achieve the fire safety standards required by statute, building owners need to find out about fire door safety and ensure their fire doors are inspected and maintained as fit for purpose. The best way they can achieve that is by contacting FDIS to engage the services of a Certificated Fire Door inspector. 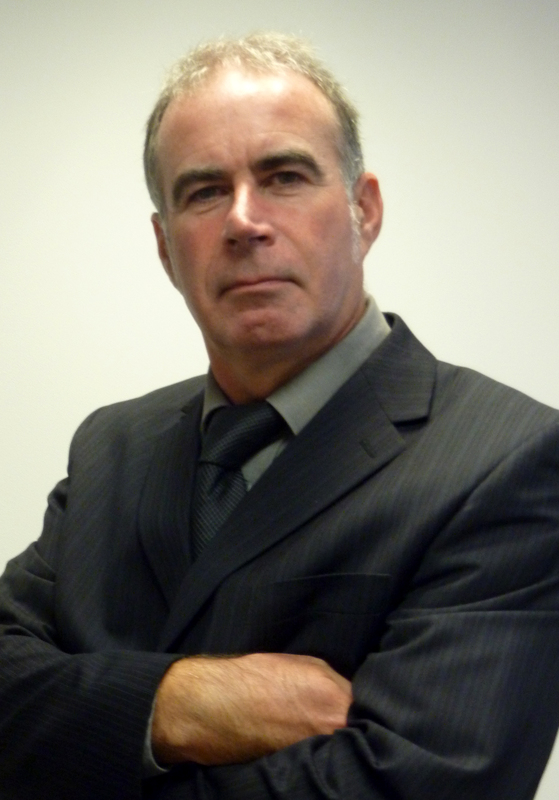 Many thanks Neil for guest blogging and providing expert advice to anyone that visits our site. This entry was posted in Guidance and Advice and tagged fire doors, fire safety, glasgow, inspection, lanarkshire, renfrewshire, scotland. Bookmark the permalink.